This new PENDVR-EL164K-XI is one of our newest, most capable DVRs for your security surveillance system. This is one of the latest Pentabrid DVRs from our Elite series that offers 5 different technologies to create a one of the most versatile security systems available. 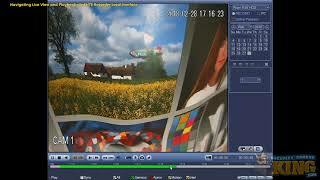 The 16 channel recorder is capable of working with HD-CVI, HD-TVI, AHD, Analog and IP cameras! You can record up to 16 cameras that use coaxial technology (CVI, TVI, AHD, Analog) and 16 IP Network cameras for a total of up to 32 cameras! You heard it . 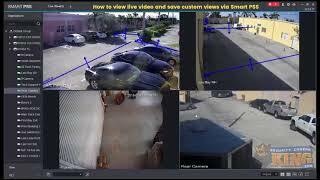 . . connect a total 32 cameras using a combination of Analog and IP or all 32 IP cameras at up to 12MP each with a total of 128Mbps incoming bandwidth. You can record CVI in 4K @7fps or 6MP @10fps, CVITVI and AHD in 5MP @12fps, 4MP@15fps and 1080P/720P/960H @30fps and AHD and TVI in 3MP@15fps and if you already have coaxial cable and a 12V DC power supply, you’ll have an easy time connecting these cameras. If you do choose to use some of those UHD cameras with IP, you’ll need Cat5/6 network cable and a PoE switch for your data and power. 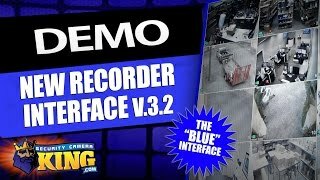 This isn’t your old, big box recorder with pixelated images. This is a DVR that can handle up to 32 ultra-high definition IP cameras that delivers superb resolution and that means you need to have sufficient storage space for your data. With room for up to eight SATA hard drives at 8TB each, this full-size, 2U recorder can hold up to 64TB of hard drive storage that we can install, configure and test when you order it at the same time as your DVR. There are other options as well like the dedicated eSATA port so you can connect an external drive and 4 USB ports you can plug a flash drive into so you can easily copy and share smaller portions of your recorded footage as you need. With quality components like Intel processors and a stable, embedded Linux OS, this DVR will take care of all of the hard work. 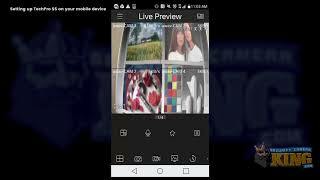 All you have to do is configure settings and schedules with the OSD (On Screen Display) and make sure you’re connected to a network so you can view and manage your security surveillance system from anywhere in the world as long as you have an internet connection. 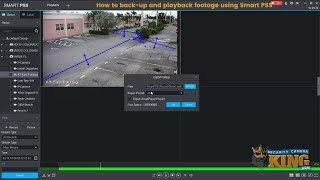 With the built-in intelligent video analytics that makes up the IVS (Intelligent Video System), you’ll have some great advanced features like Smart Tracking, Face Detection, People Counting and Tripwire Analytics that direct the camera to detect when a predetermined line has been crossed so it can signal a connected alarm, strobe, etc. and/or send an email alert. Packed with the latest technology, this DVR is backed by a 3 year warranty, FREE US based tech support and FREE remote viewing software!